A spell of four games in 11 days has taken its toll, with City’s Brazilian striker Gabriel Jesus sustaining a knee ligament injury which will sideline him for four to six weeks. Full-back Kyle Walker also limped off after the victory over Watford with what appeared to be a groin injury. “We are going to check it out, he (Walker) might have a little problem,” Guardiola said. “But what everyone saw in the last weeks is how many injuries the players have. We are going to kill them. “The federation bosses have to reflect a little bit. It’s not normal to play (December) 31st and two days later. “I know the show must go on, but… that is not normal. “They (the authorities) have to control it. They don’t protect the players and they are who the people come to watch. 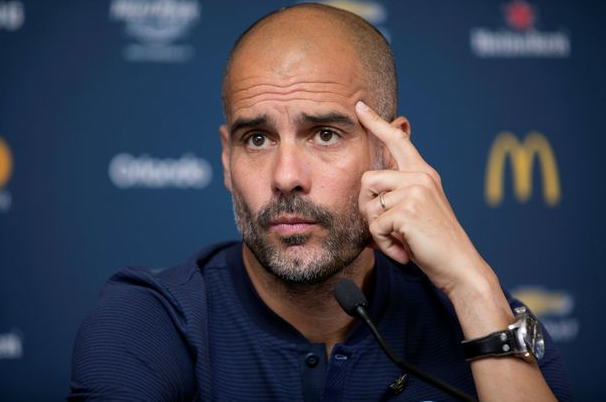 “Here in England you don’t protect the players, you have to look for the quality, not the quantity.” Guardiola is the latest in a long list of high-profile managers to question the traditional English fixture schedule this season, his Manchester United counterpart Jose Mourinho being chief among them. And while the City manager believes in the traditions of the English game, he believes the Premier League will have to review television schedules which have led to a lopsided fixture list with some teams playing on two-days recovery and others up to five. ‘Players need recovery’, “Of course, space them out. I’m not saying change Boxing Day (December 26) but you cannot play at midday at Selhurst Park, come back, celebrate New Year’s Eve but are thinking about the game two days later,” he said. “People say it’s impossible. It’s not basketball or tennis, the players need recovery. Just see how many players have muscular injuries. “The show must go on but were have a lot of people here, to take care of them but the schedule does not protect the players.” Meanwhile, Jesus’ loss is a blow to player and club, especially in a World Cup year that promises so much for the 20-year-old Brazilian star. “Hopefully he will be back as soon as possible,” Guardiola said. De Bruyne’s performance against Watford was a particularly impressive effort, given that he only passed himself fit four hours before kick-off. “Kevin went out on the pitch in the afternoon and wanted to play,” said Guardiola. “He had some pain but wanted to play, if he wants to play then I want him to play.” The same was true of the returning David Silva, who had been absent due to complications involving the health of his pregnant wife. The midfielder has been travelling between Manchester and Spain and Guardiola is prepared to give the Spanish international more time off if he requires it.